That good advice can be applied to community service projects and fund raising events. Megan Cullip of San Antonio delivered breakfast tacos to the homeless on Christmas Eve in 2008, and said to herself, “This is so lame. There has to be more.” She immediately searched the Web for ideas on how to help people in a deeper way. Megan came across an incredible story and CNN video about Anne Mahlum of Philadelphia whose story of running past the homeless every day inspired her to form Back On My Feet. In January 2009, Megan teamed up with her friend, Elizabeth Rosenblum, to launch a workout program, Street 2 Feet, for the homeless at SAMMinistries, one of San Antonio’s largest charities that provides services for the homeless. The pair meets with the homeless twice a week at SAMMinistries Emergency Shelter in downtown San Antonio. Megan and Elizabeth decided to take the fitness program to new heights. 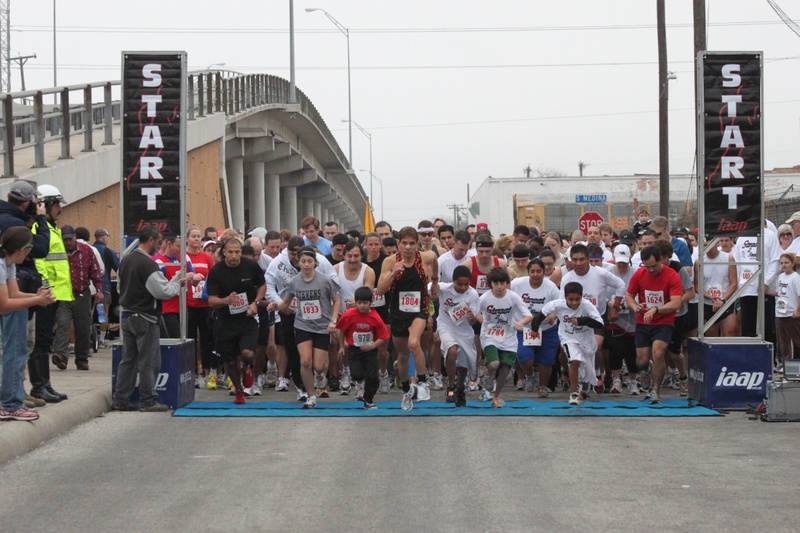 They hosted a Street 2 Feet 5K Run/Walk and Kidz 400 meters in late February. The route took participants through downtown, and to date it is the only run to pass directly in front of the Alamo. For a first time event, the results were amazing. The run netted $ 20,000, thanks to many generous sponsors, and 543 runners turned out for the event! Yes, the Street 2 Feet fund raiser is sure to become an annual event. And to think it all came about because of the disappointment of serving breakfast tacos on Christmas Eve. Megan and Elizabeth are true San Antonio heroes. What a great idea! I love the connection between “I’m proud of you” and “radical life transformation.” So true. Thanks for sharing this story.